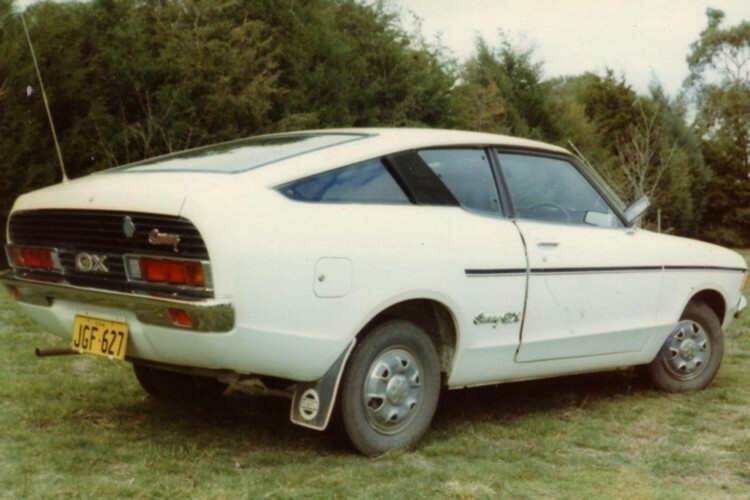 Does any of your research material show that these were raced in Australia by Nissan. If so, then it's possible that it is one of those that were sold to make up the numbers to allow homologation. no chris,nothing i've seen tells me that.if i can remember,the nissan factory ran the 1200 coupe in the bathurst races until 1976,& they were mainly in to rallying stanzas after that.maybe it was a private import by someone at the japanese embassy,which was sold on from there.i seem to remember you're down that way.can you imagine this blasting round the streets of canberra,whilst mama-san is doing the shopping. by the bye,saw the wildest looking 120y 2 door sedan on sunday at a dirt event.l20 out to 2.4 litres & an independent rear end,look like an r180.very quick.was owned by someone called waterhouse,cause that was the name on the side.it wasn't a pb210 either,as it had standard 120y taillights.good fun. The lack of any evidence that the mirrors were ever on the front guards suggests that it is an "export" car & not a JDM one. Front mounted mirrors were not legal in Australia from about 70 or so & the door mirrors are original. US B210's do not have the rear apron, so if you rid your B210 (120Y) of off that US market "park bench" bumpers, there is a big bare area under the bumper. Compare to my US B210, no apron, with the apron and bumper(proper), it would look like a million bucks!